Bear with me on getting caught up on my adventures. I had started several posts and never finished them so I will now attempt to get caught up quickly. This post was originally drafted before the race happened so I finished it in the same tense. In Ironman distance triathlon it is common to do several training rides in the vicinity of the 112 mile distance of the race. Leadville takes less than 9 hours if you are really good but I’m thinking right now my time is going to be in the 11 hour range. I’m not planning on doing any 11 hour training rides but I do want to do several longer distance races for several reasons. First I need to identify what intensity (heart rate) to ride Leadville at, secondly I need to identify if there is anything that needs to change with my equipment, thirdly I need to dial in my hydration and nutrition, and finally I need the experience to prepare for things that might arise during the race and figure out how to deal with them. 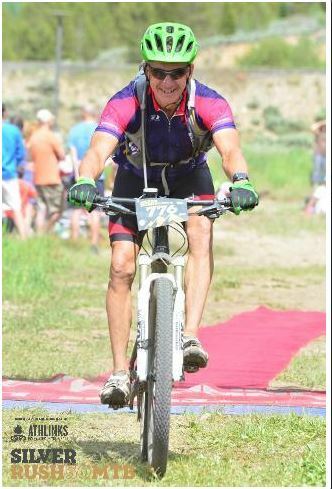 The longest mountain bike ride I had been on was a 4 hour easy ride leading up to the Reveille Peak 100K race that we never ended up going to due to threat of inclement weather. I had no idea how long I could last on a mountain bike past four hours. 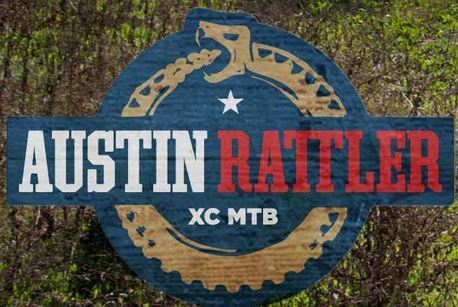 One of my customers that had raced Leadville before strongly suggested we sign up for the Austin Rattler 100K as it offered us the opportunity to get better starting corral positions at Leadville. Most of our group signed up for that March 28th race. Michelle had told us about the Fossil 50 race in early March. 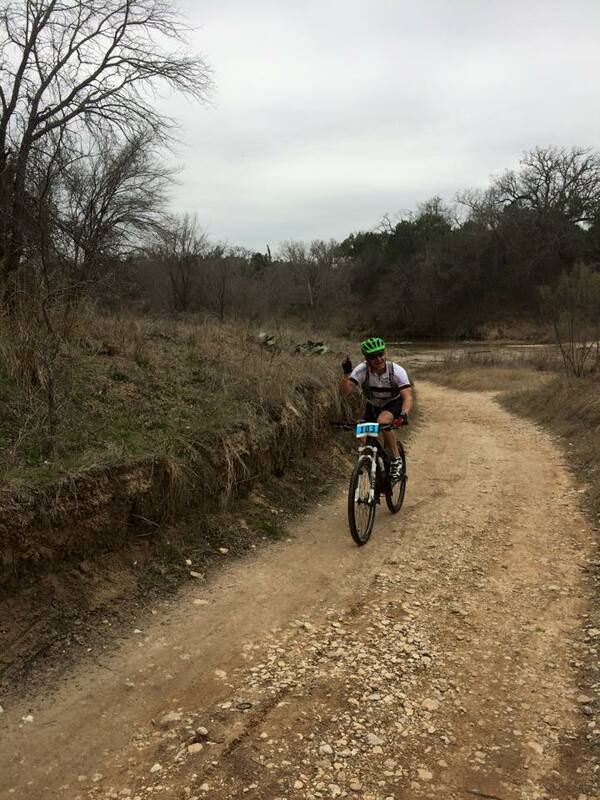 This was a 50 mile race consisting of two loops at Dino Valley a technical short course and one loop at Solavaca ranch, another short technical course. Between those three loops and the roads between the two trails the distance was 50 miles. These were the first two races we would enter to get endurance race experience. 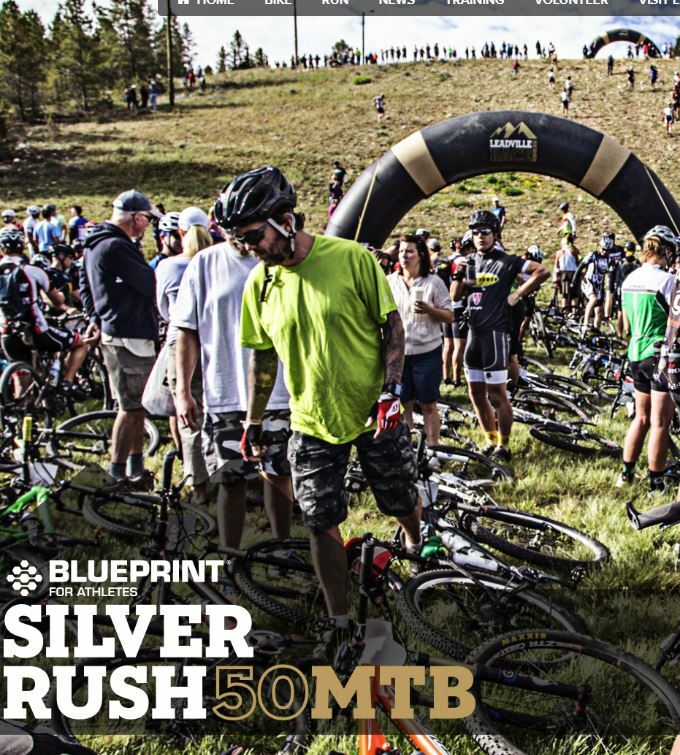 Several of us subsequently signed up for the Silver Rush 50 in Leadville in July. It was a great opportunity to see how altitude would affect us and get an idea of how technical the LT100 MTB race would be. 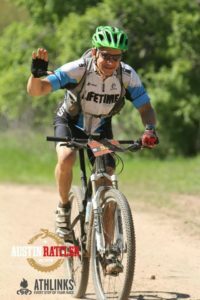 Kristins’s husband Jeff joined us for the Silver Rush 50 with hopes to qualify in to the LT100 MTB race. 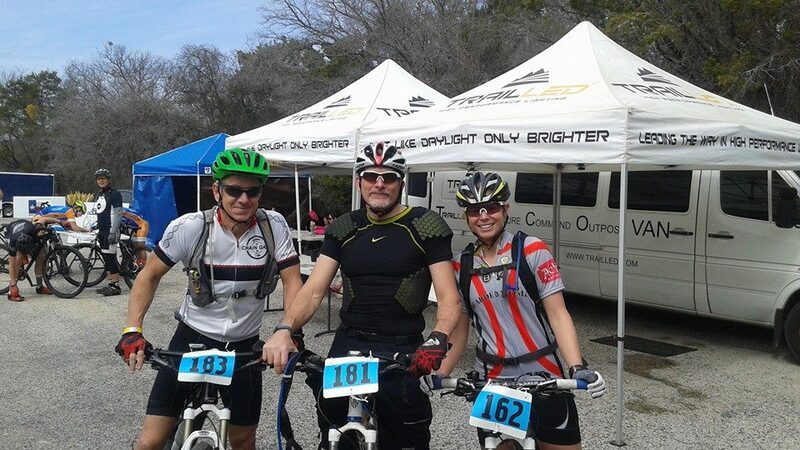 I raced this with Marcelo (one of our MTB minions), Roberto, Marc, and Michelle. My goal was to ride it easy, keep my HR in Zone 1 and practice nutrition and hydration. I just wanted to see how I could handle 50 miles on a mountain bike and knew the course would have lots of climbing so this would help me know what to expect during other races with lots of climbing. I figured I’d ride with Michelle to keep my HR down rather than get caught up in the competitive aspect of the race. I lost her at the start and rode with Marc a bit until I stopped to help another rider with a broken chain. Eventually Michelle passed and I caught up to her and we rode together for a while. At about 4 miles she was having problems climbing and stopped because something was wrong with her bike. We checked her rear wheel which was out of true and rubbing due to a broken spoke. I tried to adjust the wheel a little bit so it wouldn’t rub and when she tried to ride again the freehub let loose which meant the wheel was not rideable.. I looked at the map on my garmin and gave her my best guess as to the fastest way to get back to the start so she might be able to swap wheels with her husband Evan who was spectating. I left with an “I’m sorry” not sure if I should have stuck behind and made sure she got back to the start line to find Evan. When I left her I decided I’d push the pace a little higher and ride in mid Zone2 just to see how it would affect me. The other three guys had already passed me so I had some targets to try to catch. I caught Marcelo first and wished him well. Then half way thru the first pass of the Dino Valley course I caught and passed Roberto. After I passed Roberto there was a guy on the side of the trail who said nice job. I didn’t recognize him (I don’t where corrective lenses while riding) but about 50 feet later realized the voice might have been Evan’s so I yelled back to him that Michelle’s freehub had broken at mile 4 and she needed a new wheel. I continued to ride the Dino Valley course and Marc was nowhere to be seen. As I made the final water crossing before the Dino Valley park crossing I recognized Michelle so was relieved she had made it back, she yelled back that Evan was with her. I exited the park to make the 5 mile trip via country road to Solavaca Ranch. I rode the five miles on the road trying to keep my HR about 135 bpm and did not get a glimpse of Marc until I saw him making the left turn into Solavaca ranch way ahead of me. I eventually caught up to him and rode with him for a bit until I heard natures call. This was a good sign, I was properly hydrating if I had to stop for a whiz 2 hours into the race. About half way thru the race I caught back up to him as he was making adjustments to his bike. I stopped briefly to see if he needed anything and continued on when he said he was good, still trying to keep my HR at 135. Marc is a strong rider so I wondered if he might catch me again if I kept riding at a moderate effort or if his lack of endurance would show and he would slow. At the exit of Solavaca Ranch they had an aid station and it seemed like it took forever for the ladies manning it to dump all the half empty bottles of water into my camelback and to make a PBJ sandwich. By they time they had helped me Marc had still not caught me so I thought I was home free. The ride back for the last Dino Valley loop was about 11 miles via another road. I continued to try to maintain 135 bpm HR. As I entered some of the climbing sections I noticed how much more difficult they seemed to be then the first time I went thru the park. I started shifting down to my smallest chain ring to make the climbs more manageable and on one particularly steep climb dropped my chain and wrapped it around the crank in the middle of the climb. It took me about a minute to get the chain unwrapped and a when couple of guys passed me I got so pissed at myself for trying to shift chainrings in the middle of the climb. I decided to ride the rest of the race in my middle chainring for the rest of the race and not chance dropping the chain again even if I had to walk the hills. Halfway thru the final Dino Valley loop my back really started bothering me. This happens frequently on long road rides so I knew to stand up on the pedals and stretch it out but I found myself doing this frequently during the final 30 minutes. I ended up finishing in roughly 4:30. Finishing Dino 50 with my Miss America wave. It is damn near impossible to keep your heart rate down on difficult climbs. As much as I tried to keep it down I ended up on zone 3, 14 times. I need to get better at shifting my front chain ring so not to drop a chain. Roughly 300 calories an hour is a good nutrition goal. I had roughly 2 70oz bladders of water during the ride. This breaks down to 31 ozs per hour which was less than my target but the weather was cooler than normal. I need to get my bike fit to see if that will help the back issues I had after 4 hours. Make sure to check bike before a race for potential mechanical issues. Have back-up wheels just in case. I raced this with Marc, Michelle, Kristin, Steve (Kristin’s dad), Roberto, and Wade as well as another friend not doing Leadville, Tobin. I made the trip to Austin early to visit customers and also took the opportunity to get in two pre-rides. The first pre-ride was on my own and I rode it at a relaxed pace. 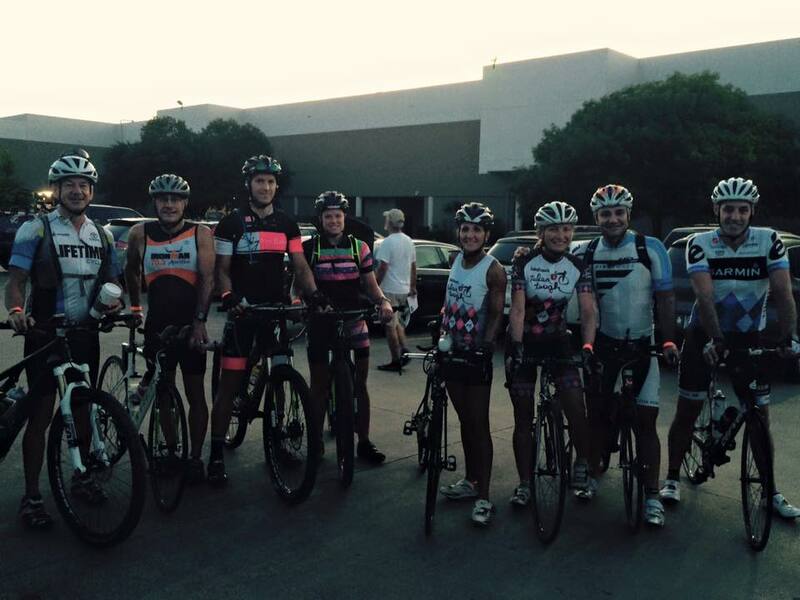 I ran into Tobin and his Flower Mound crew and started a second pre-ride with them. They dropped me after about 30 minutes as I was trying to keep my HR out of Zone 5. I ended up riding most of the loop with a girl that would pass me on the straights and climbs and then I would return the favor in the technical single track. We probably went back and forth like this at least 10 times. I later found out she was Denise Ramsden, a UCI pro road rider, who was racing Rattler to qualify for Leadville so she could ride with a friend. She later won the woman’s overall at the Rattler. Marc arrived and we checked out our bikes together at his campsite. I checked all my suspension bolts since they had come loose before, then chain, derailleur, etc. I checked everything but the sealant in my tires even though I had heard about the cacti and goatheads on the course. Later we found out Kristin wasn’t racing for medical reasons but she would be at the start finish line to crew/cheer for us. Saturday morning we gathered for the start. My plan was to ride with Michelle to see where my HR would go and practice hydration and nutrition. My goals for the race were to finish well enough get a better corral position then the last one at Leadville, and get in a good training ride. There were already a ton of people crowding the start line so we started behind a ton of people. When the race started it was a mad dash. Many racers took off in a dangerous sprint to get ahead of others. I started at a moderate effort and passed many people who were riding much slower. I had assumed the rest of our group was just behind me. About a mile or two in I didn’t see any of our group so I thought I might be trailing them and rode harder than usual to try to catch up. It wasn’t long before we left the jeep road from the single track and the backup happened. Everyone was stopped because a few of the riders ahead were having issues with not to difficult climbs in the single track. This happened several times thru the first loop and it was so annoying to be stopped, not able to go anywhere while the race clock was still ticking. I had decided after a while of riding that I hadn’t been behind so I slowed my effort after walking thru one 500 yard section of 6 inch deep standing water and mud. I thought I saw Michelle way ahead of me in the mud pits but after a harder effort found out it wasn’t her. When I finished the first lap Kristin said Michelle hadn’t been thru yet so I hung out for a bit until 1:25 on the race clock. I was still trying to get a decent corral position and thought we could get the corral corresponding to better than 5:30 finish time. I told Kristin I was shooting for 1:20 on the next lap. Both my practice laps had been faster than that and the crowd had thinned out considerably after the first lap. After a few miles into the second lap the front end started feeling squishy and my tire looked low. I only had a hand pump with me and one CO2 canister. I eventually rode by a couple of people cheering that had a regular pump so I stopped and loaded more air in my tire hoping that the sealant in the tire would eventually plug the leak. It wasn’t long after I had gotten back in the single track area that my tire had completely flatted. Man I was pissed for not checking the sealant in my tires before the race. I burned my only CO2 cartridge thinking it I could get it re-inflated but it didn’t so I knew I had to put a tube in the tire now. I took the front wheel off and started trying to get the tire off the rim to no avail, it was effectively glued to the rim. Marc passed by about then and asked if I needed help I said no was just having problem getting tire off and I didn’t want to slow him down. He told be to squeeze the tire at the rim and I was able to get it unseated. I told him I was good so he could continue his race. I was just getting my tube in the tire when Michelle came by and asked if I was OK. Luckily she had a CO2 cartridge so I didn’t have to spend 10 more minutes pumping up the tire. She hung around until I got my bike together. I had spent so much time screwing around with the flat that sub 5:30 was out of the question so I thought I’d just ride the rest of the race with her so we could get in the same Leadville corral. 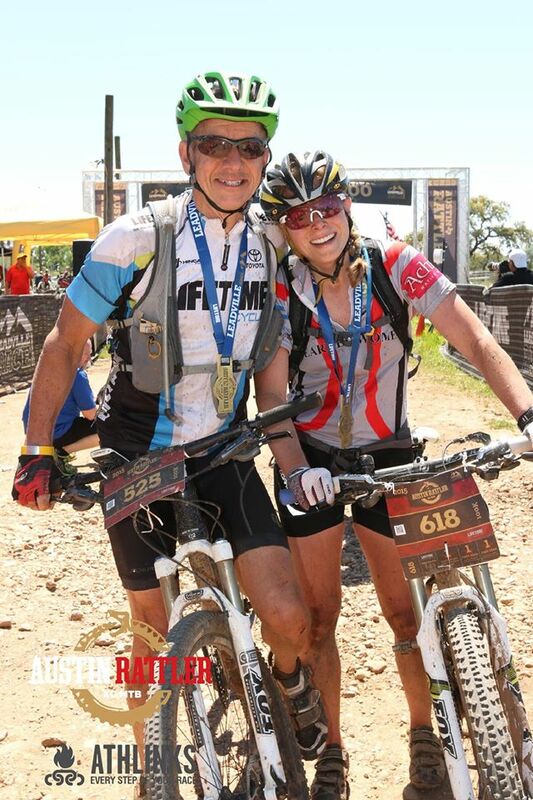 We ended up riding the rest of the race together. I’d lead, we’d come up to riders and I’d ask back if she was ready to pass, she’d say yes, I’d pass the person in front of me telling them one more back. This happened a lot. We’d pick off people in front of us one by one. If I spied a woman rider in front of us I made sure to let her know because I knew how it motivated her. Eventually we passed Marc too while he was having a mechanical issue. On the third lap I was getting tired. I was getting lazy with my skills and probably had three or four crashes just because my balance on the bike was way off from what it should be. Each time I’d tell Michelle I was fine and that I’d catch up. I would catch up, I’d take the lead, we’d pass more people, then I would crash again. repeat over a few times. Eventually we passed Roberto who had ripped the rear derailleur off his bike. We ended up finishing in 5:57. Not in the sub 5:30 corral I thought we could get but we were still 2 corrals ahead of the last corral we would have been in. Tired smiles after almost 6 hours of riding. Don’t get a flat, check your sealant before the race, carry extra CO2 cartidges. I need more long rides so I don’t get so tired that my skills diminish and risk crashing at the latter stages of a race. 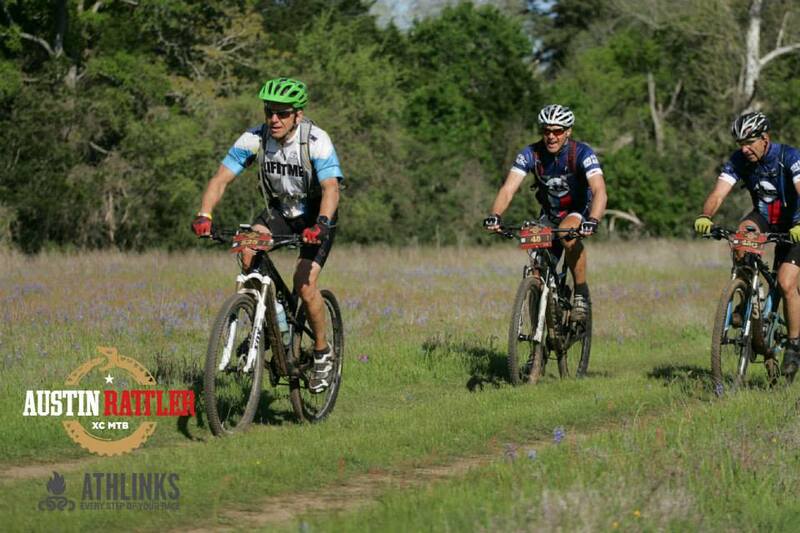 It is really a lot of fun to ride with another friend, pushing each other to pass other riders during the race. See the photo above. That hill is so steep you can’t possibly ride your bike up it. So the race starts at the bottom of the hill with everyone pushing their bikes up the hill. The fastest man and woman to make it up the hill get a coin for entry into the LT100 MTB race. It is the craziest mass start I have ever seen and going full anaerobic up the hill at the start of a very mountainous race is not for the meek of heart. Roberto, Kristin, Jeff and I raced this. 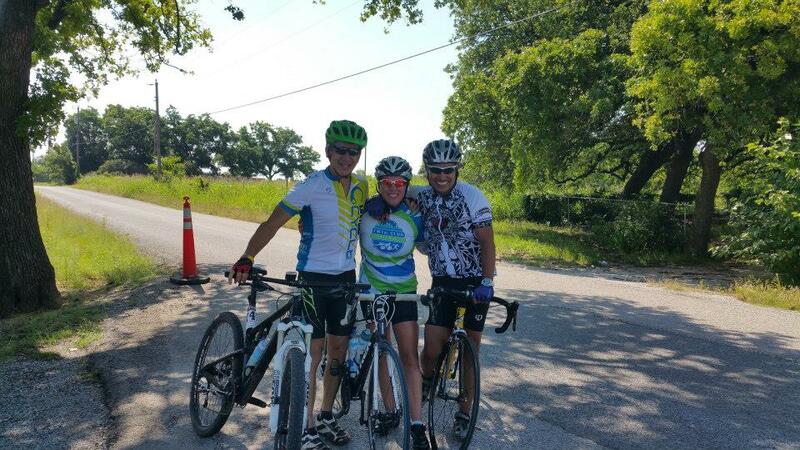 Jeff was trying to qualify into LT100 MTB race, Kristin and Roberto were trying to get better corral positions. 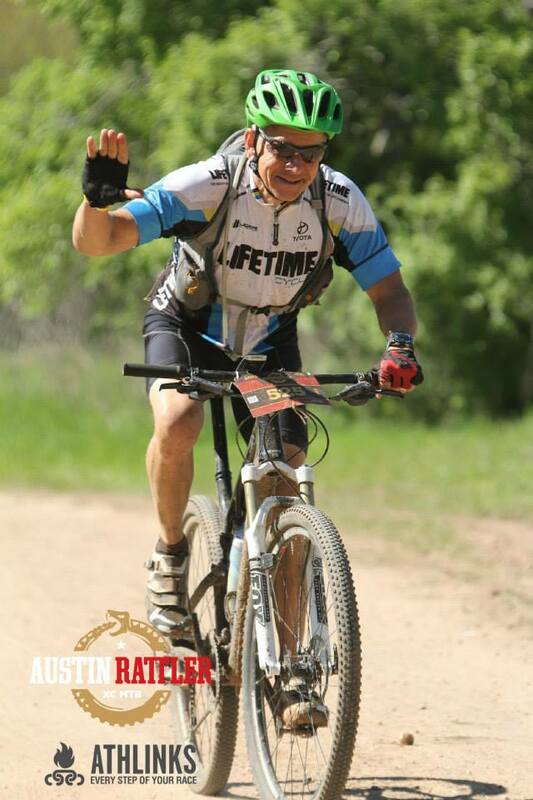 I was just there to see what affect the altitude would have on me and maybe get a better corral position then I had thru my Austin Rattler finish. Roberto and I drove up together and it was an interesting trip. Roberto is big on the Paleo diet, I am big on the peanut M&M’s and Dairy Queen dipped cone diet. Roberto drinks Amstel light, I drink high calorie IPA’s. You get the picture, we’ve been friends for several years so had a great road-trip up despite our dietary differences. I had read several accounts about racing at altitude if you are a flatlander, arrive more than 2 weeks before the start so you can acclimate to the altitude or arrive less then 24 hours before so it doesn’t have time to affect you. We decided on the latter because both of us work. I had also raced IM 70.3 Boulder the year before, felt great on a bike ride the day after I arrived, but was totally gassed in the race 3 says after I arrived. This was an experiment to see what affect altitude would have on us if we go there the day before. This is the point where I start writing off of the 9 month old memories of a 54 year old. Although this race took place in Leadville it was on a totally different course than the LT100 race. They promote it as the same as the LT 100 race with all the flat sections taken out. It was really hard. If you weren’t climbing you were descending. There were virtually no flat areas. This made it extremely difficult to eat solid food as you always had to have both hands on the handle bars at all times unless you stopped. I was passed on climbs, did a lot of hike a bike practice on the real steep technical climbs and was passed by lots of local riders who seemed to have no fear on the descents. Altitude was not my limiter at this race, it was my climbing ability and my fear of crashing on the descents. I was able to eat enough during the race that I don’t think it affected me much but was severely behind in drinking water per my plan. I’m not totally sure why this happened, might have been altitude, but I knew I would have to get better at hydration for LT100. The best part about the race is the last 5 or six miles is all descending, you hardly need to pedal so my failure on hydration may not have shown because I did not have to work the last part of the race. Roberto and Kristin ended up getting better corral positions. Jeff, who is one of the best athletes I know, wasn’t even close to qualifying for the LT100 race. The great thing about these qualifying races is that they have an equal amount of LT100 spots available for those that don’t qualify thru a lottery after the race. Wade, Kristin, and I didn’t turn our numbers in for the lottery, even though it might have won us an entry into the 2017 race. This meant the odds were better for Jeff to get his spot thru the random drawing. We waited around in the cold rainy conditions for the drawing winners to be announced and they called Jeff’s name. So cool he would be racing LT100 with Kristin and her dad. Altitude had little affect due to my arriving the day before the race. Altitude may have prevented me from keeping with my hydration plan because I never was that thirsty. I need to plan when I eat solid food at LT100 because it can’t be done on climbs or descents. These were the main races leading up to the LT100 race. We did a lot of long road rally’s as well to develop endurance. 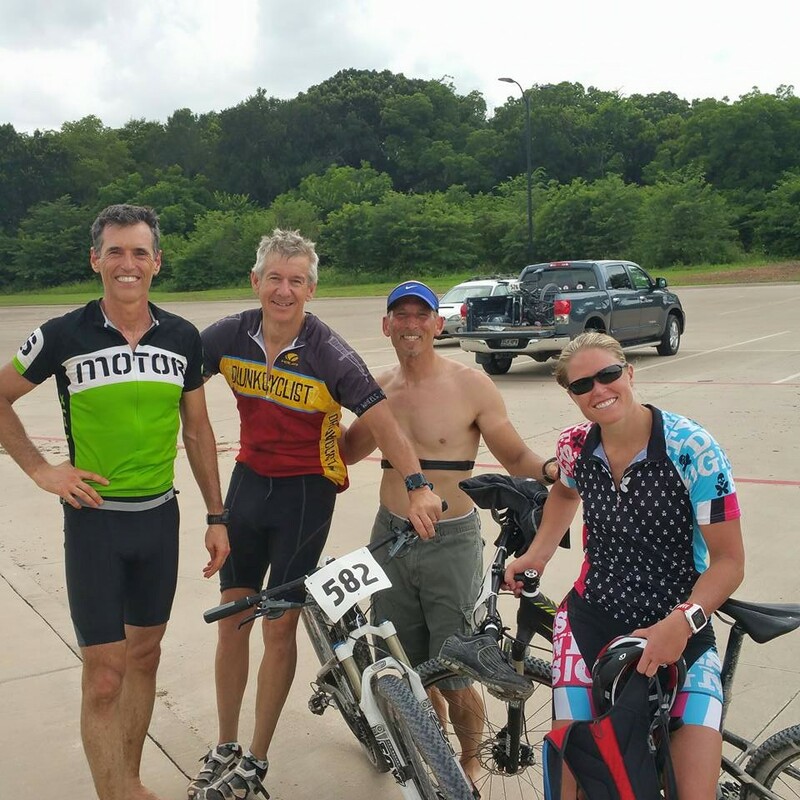 Wade and I added 60 miles onto the hilly Goatneck rally (130 miles total) that we rode on our mountain bikes just to develop our aerobic fitness. That was the longest I have ever ridden a bike. Marc, Roberto and I tried a 12 hour mountain bike race in Palo Duro canyon that started at midnight. We learned it is really hard to ride bikes for a long time in the dark, especially on technical terrain where your mind and reactions need to constantly be sharp. I took two trip to Mt Scott in Oklahoma where I did multiple repeats up the 100 ft hill. The second time Michelle joined me. 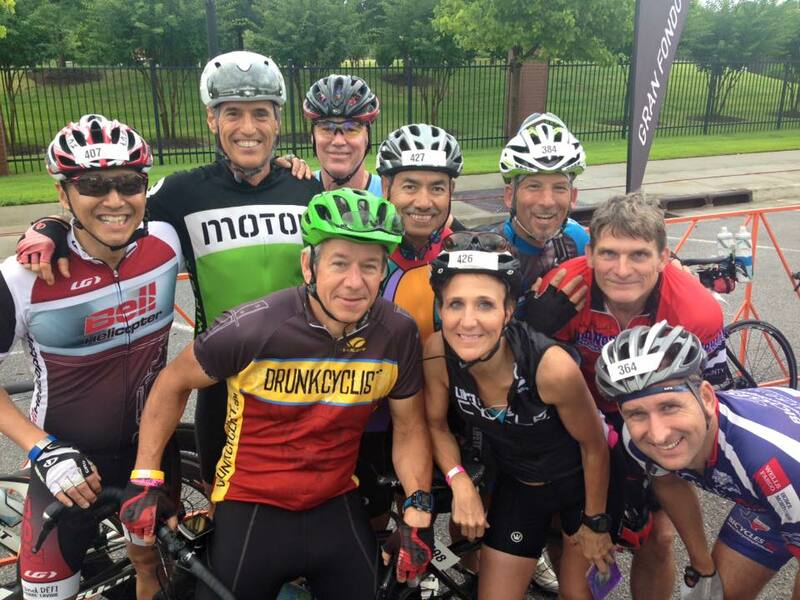 I rode the back to back 100+ milers at the Tulsa Tough Rally with a ton of friends. None of these rides was close to the 11 hours I thought I would ride at the LT100 race but they werehelping to train my body to be able to spend long periods of time in the saddle. Because my favorite local trail was closed due to flooding from Lake Grapevine I moved my training to a more technical and hilly trail on the West side of Ft Worth. Sansom Park effectively became my home trail. It made me a much better technical rider and climber and descender than I had been. This was one of my clear deficiencies at the SR50 race and the fact that I was forced to train at Sansom could be interpreted as divine intervention. Nothing I faced at Leadville would be intimidating because I spent so much time at Sansom Park.